My first thought when I was shown a bunch of agretti prior to being cooked for lunch was, "Oh God, they eat grass in Italy." 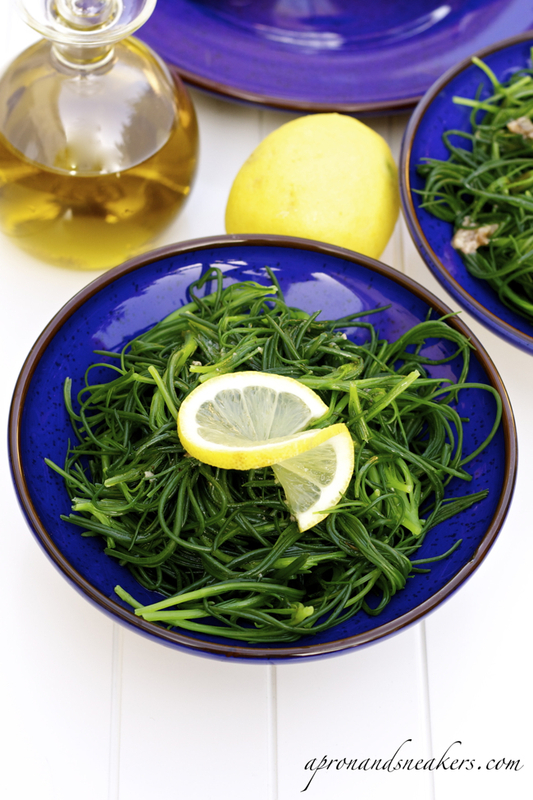 Like so many new vegetables and fruits I encountered in this country, agretti are one of those that made me feel quite "uninformed" in the subject. I gape, I ask and I learn about the best preparation of a vegetable, stories attached to it, what season they are eaten, and the conversations continue. In a country that treats a vegetable as a conversation piece, it's an endless journey anywhere, anytime and with anyone about learning the genuine gastronomy from the local people. Where else can we learn the authentic way of cooking the local food but from the people themselves? It's everyone's passion that puts the popular topic of calcio (football) at the backseat. It doesn't matter if you are female or male, if you are 3 years old or 100, or where you are. Everyone speaks up when someone says the magic word. Food. When I bought these agretti at the market, the vendor was asking me if i wanted some puntarelle (chicory) because they are already in season. I said I will fix myself a big puntarelle salad as soon as I finish all the fresh things I bought from her. She advised me to try the puntarelle pie and embarked on a step-by-step procedure on how to go about it. From the way her face lighted up and the speed of her gesticulation, I understood that I have to try it. It's good, she promised. But for now, with the opening of spring, the agretti are everywhere. They look like grass and they have a reminiscent taste of grass with a twist of spinach. There is also the unmistakable earthy flavor. In spite of the unattractive way I am describing them, they are very good especially when blanched and dressed with lemon, oil and anchovies. Its a side dish that goes perfectly well with fish and some meat dishes. Put the anchovies in a mortar & pestle. Pound them until you have a paste. 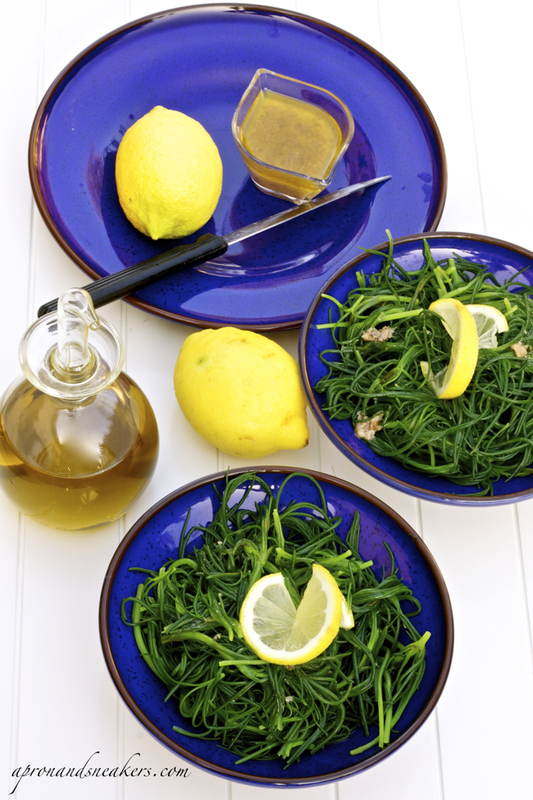 Transfer to a small bowl and whisk with the lemon juice, extra virgin olive oil & pepper. Adjust the lemon and anchovies according to your taste. Set aside. Cut away the hard part of the agretti leaving just the green part. Clean under the tap. Set aside. Boil some water in a saucepan. 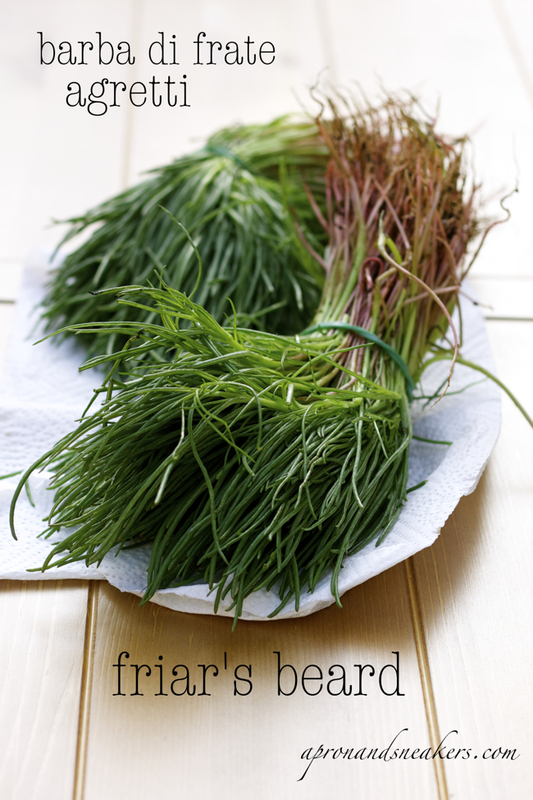 Prepare a big bowl of ice and water that can accommodate the agretti. When the water boils, add some salt. Blanch the agretti for 3 minutes. With a slotted spoon, transfer them to the bowl of ice and water. Make sure that they are submerged in the water. This way, you trap the color and freshness of the vegetables. Once cold, drain well. 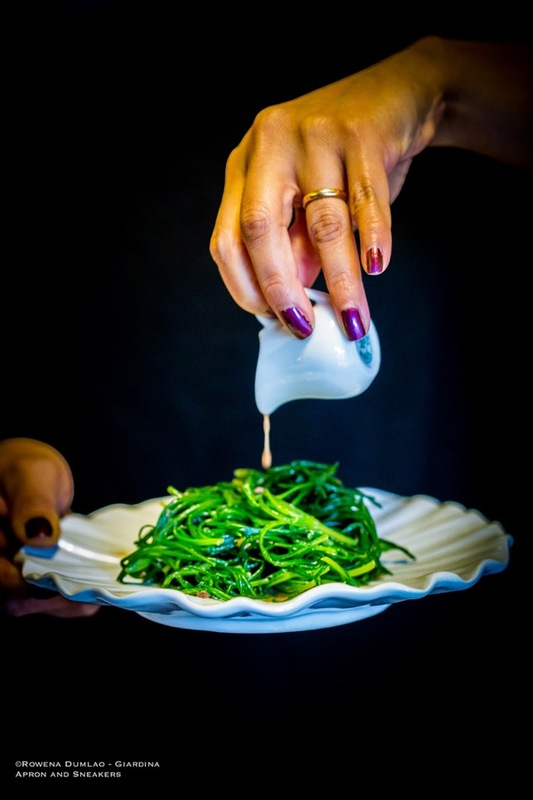 Transfer the agretti to a serving bowl and pour the dressing.